Physicists from Tomsk Polytechnic University developed an optimal method for environmental monitoring using mosses. According to the press office of the Russian Science Foundation, the new approach can be used for the assessment of air quality in the cities. A research article was published in the journal Environmental Monitoring and Assessment. Mosses are often used in environmental studies as an object of monitoring: they grow everywhere, are unpretentious, and steadily accumulate environmental pollutants. For active biomonitoring, mosses (when not a natural moss but mosses specially placed onto certain areas) were used for the first time almost half a century ago. However, there is no unified valid protocol for such studies yet. Therefore, it is not certain what factors should be considered in monitoring. For example, it is not clear whether the placement conditions of mosses affect the efficiency of studies. TPU physicists and biologists from Tomsk State University proposed a method to find out what factors influence the quality of monitoring. Unlike the majority of previous studies, Tomsk researchers chose mosses growing on tree trunks instead of soil. 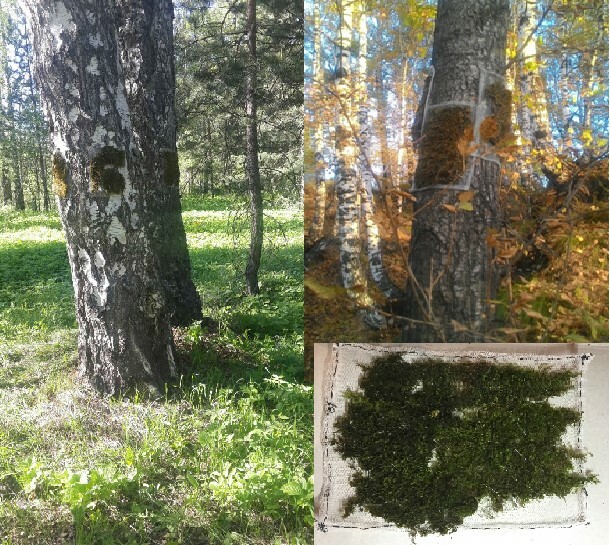 During the experiment, the scientists placed thin layers of mosses on a small pore nylon mesh and put them on tree trunks in two different places in the city of Tomsk. They chose trees of various types growing nearby, i.e. poplar and birch. On the trunks of each tree, 3-4 frameworks were vertically mounted at the height of 0.5 and 1.5 m. Totally, 27 grids the size of about A4 were used. They stayed on the trees over 20 weeks – from late May to early October. During this period, the mosses kept vitality at the majority of the meshes. The mosses removed from the trees were processed in the laboratory, turned into homogeneous powders. To understand what chemical elements the samples contain the researchers carried out the neutron activation analysis in the laboratory of the IRT-T TPU research reactor. The analysis showed that the samples had the increased concentration of chromium, cesium, hafnium, potassium, lutetium, molybdenum, rubidium, samarium, antimony, uranium, terbium, ytterbium, thorium and europium. The appearance of the most elements is related to the vicinity of the monitoring areas to roads and industrial enterprises. 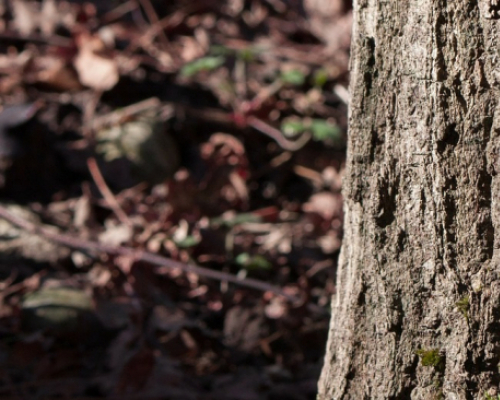 The researchers compared the concentrations of chemical elements in moss samples located at the same point but on different trees or at different height. Mosses accumulate the majority of chemical elements regardless a kind of tree, the location of samples relative to the source of pollution (roads or enterprises), and the height of mounting. Only two exceptions were found. Rubidium and potassium accumulate better at a height of 1.5 m than of 0.5 m. In addition, the level of potassium in moss on poplars was higher than on birch trees. These differences were noticeable only in one of the two places where monitoring was carried out, and need additional verification. The project leader, senior lecturer from the Division of Nuclear Fuel Cycle Natalia Rogova emphasizes: ‘We have managed to reveal that active biomonitoring using epiphytic mosses is cheap and convenient to use. Such mosses do not require special devices to place, so it is easy to prepare samples and place them even on a wide area. As proved by our study, it does not matter on what trees and how high you place the samples. The project was supported by the grant of the President Program of the Russian Science Foundation.